"Time flies" is not just an idiom, it's the truth. Nowadays, it's seems hard to find time to do anything other than work, eat, and sleep. But if you've managed to carve out some time for a rewarding and, yes, sometimes heartbreaking way to help in your community, Consider spending that time with us at Lucky Tales. Maybe you aren't able to foster but you have marketing skills to help us with publicity. Maybe you don't live in KY but you have fundraising savvy that can be shared with us electronically. We are always looking for people who are as passionate about our love for animals as we are and who can help in any way. If you have a love for animals, a big heart, and even just a little bit of time to share with us, we'd love to have you on our team! Lucky Tales Rescue is an all volunteer run rescue. Without our great volunteers, we would not be able to do the things we are able to do. Being a member of our volunteer family means you will be able to find many opportunities to help as well as have a great time getting to know everyone! Helping with our education initiative! Without fosters, we could not save as many lives as we do. LTR is always in need of more foster homes so that we can save more animals! Fostering is one of the most rewarding experiences in rescue. We will provide you with supplies (as we have them). All you need to provide is a loving and stable environment! If you think you are interested in fostering, please contact us! Even if you are unsure if it is right for you--send us a message and one of our Foster Mentors will reach out to you to answer any questions! One of LTR's goals is to reach out to the community through education. It is important to educate the community on spay/neuter, pet safety, "adopt-don't-shop", and training! We understand that you are busy and may not have the time to volunteer or to foster. We are always in need of monetary donations and supplies for our foster animals. 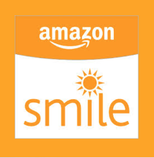 See below for a link to our Amazon Wish List, too. Your generosity is greatly appreciated. Dog Food: Puppy and adult variety. We do try to keep our fosters on a consistent diet to avoid an upset tummy! The following brands are what we feed our fosters: Earthborn, 4Health, Canidae, California Naturals, Wellness, Zignature, and Acana. If there is something you have that is not on the list, please contact us! You shop. LTR gets money. For free. Lucky Tales is mentioned in this book - check it out! Whisper Pet donates a portion of each sale to pet rescue regardless of what size bottle is purchased. 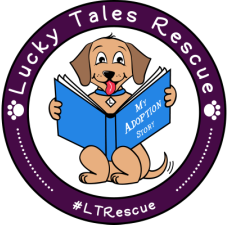 Use this link to help Lucky Tales. 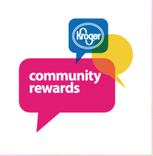 Buy gift cards to famous name restaurants, clothes, household items, just about everything! Using this link results in Lucky Tales receiving a donation. Check it out!